My teeth have been getting less white over the years – probably due to the insane amounts of coffee (and red wine) I have consumed. However it’s not so bad to justify paying for professional treatment. I have tried using white strips but I get an icky feeling when using them and can’t quite make myself keep them in for the full time. When I was out and about shopping I saw that the Colgate Optic White mouthwash was on sale for less than $2 so I picked up a few and figured what the heck. I have been pretty diligent on using this at least daily for the past 2 months – and yes my teeth my much whiter. The downside is that it TASTES HORRIBLE! Seriously it is awful tasting and I always end up re-brushing my teeth afterwards. 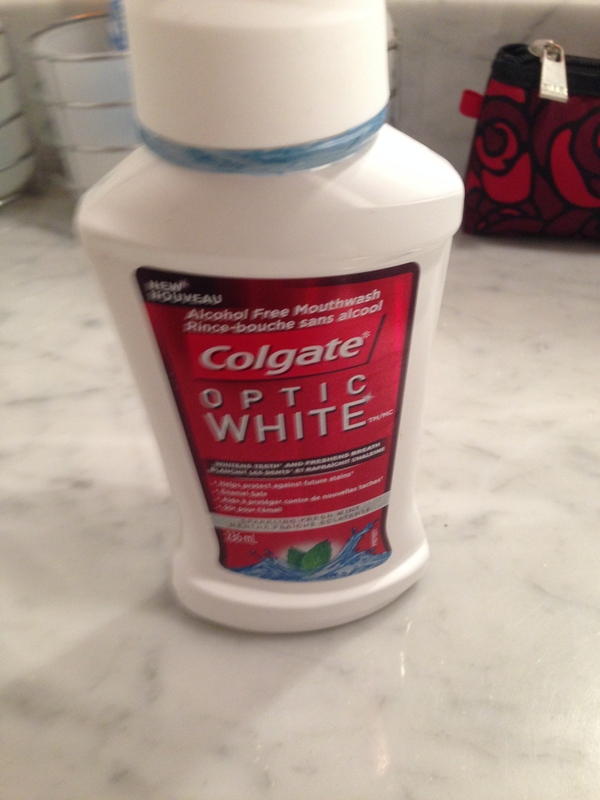 This entry was posted in Beauty and tagged colgate, dental, mouthwash, optic white, teeth, white, whitening by maldham. Bookmark the permalink.